A clubbie is a member of a Surf Life Saving Club, in other words life guards. Growing up I was a junior clubbie (called a Nipper). 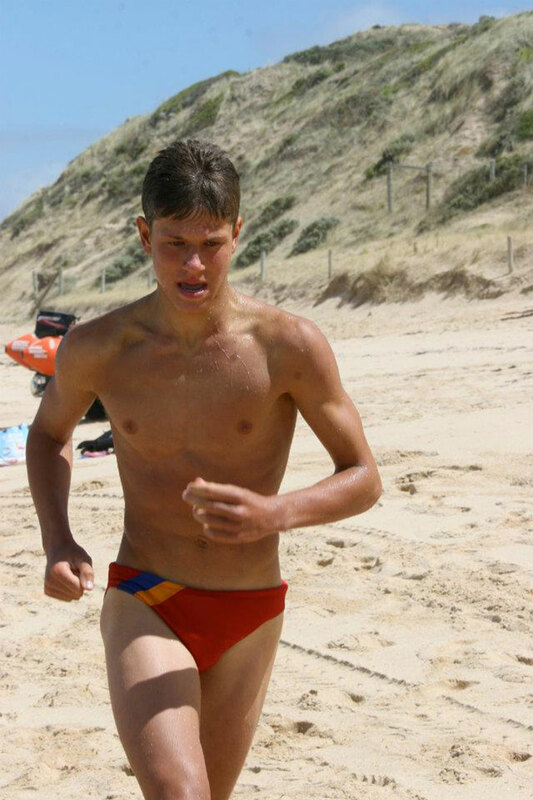 Unfortunately, my clubs speedos were black with a white panel on the side, red would have been much more fun – heheheehe. Enjoy this gallery of clubbies in their red speedos, I miss hanging out with a bunch of guys in speedos at the beach, summer is just around the corner though.